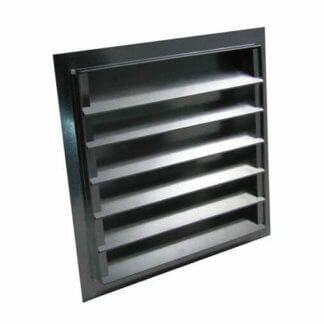 The FAMCO GVT Louvered Gable Vent with Round Transition. 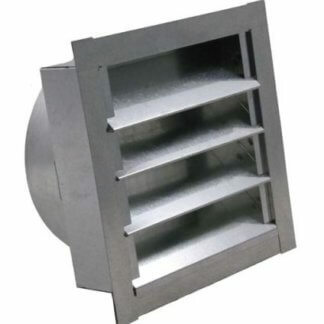 This product is used for piped attic ventilation, or for air intake or exhaust applications. 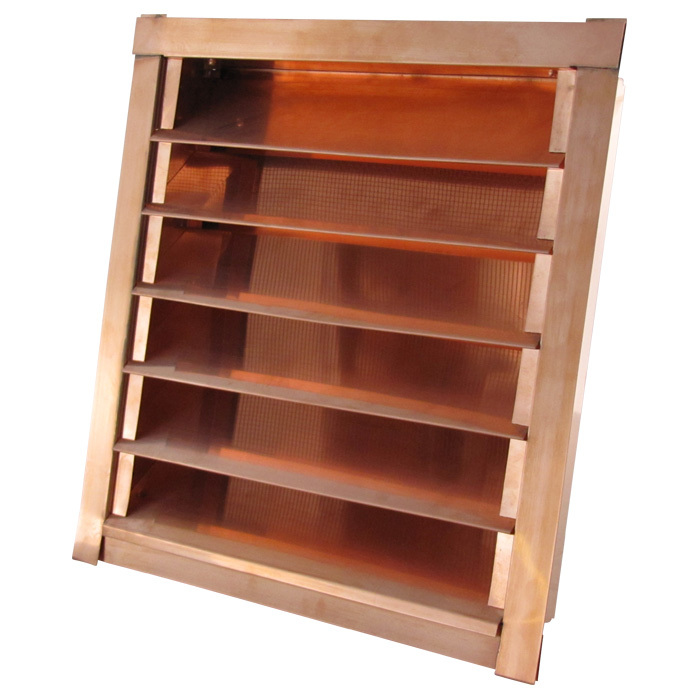 The gable vent comes standard with an 1/2 inch screen, fixed louvers, and a large mounting flange. The GVT is quality constructed in 28 gauge Galvanized steel. 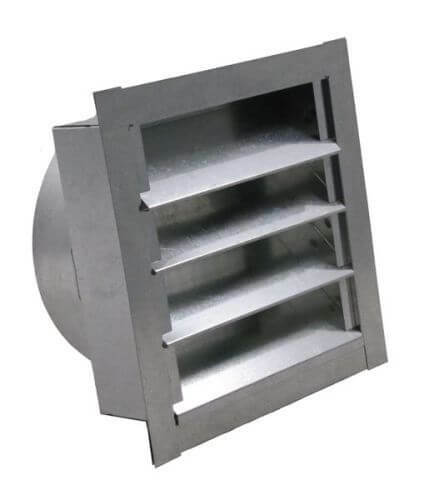 The FAMCO GVT Louvered Gable Vent with Round Transition come in a range of louver and transition sizes: 8x8x6 inch, 8x8x8 inch, 12x8x6 inch, 12x8x8 inch, 12x10x8 inch, 12x10x10 inch, 12x12x8 inch, 12x12x10 inch, 12x12x12 inch (H x W x Diameter). 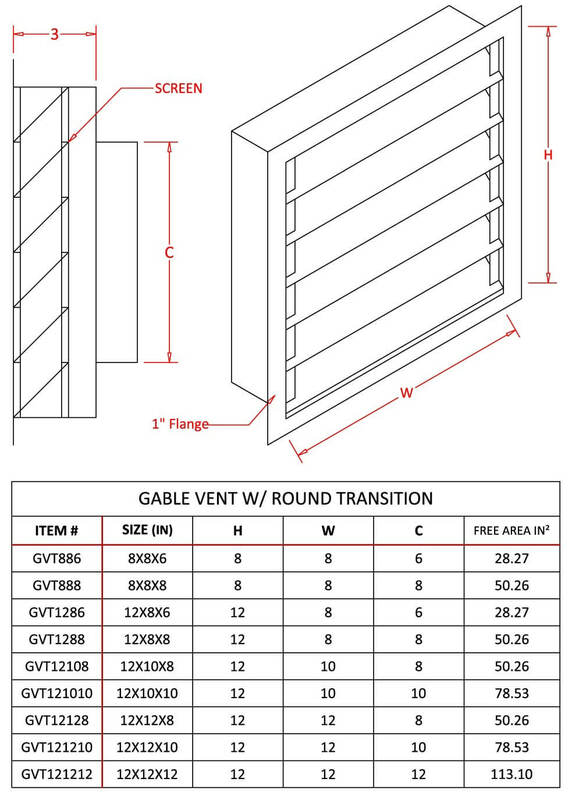 The FAMCO GVT Louvered Gable Vent with Round Transition is manufactured by Famco in the United States and comes with a 1-year warranty against product defects and workmanship. If you have any questions about this product, please refer to the FAQs above or feel free to contact us by phone or email.